Every 39 seconds there is a cyber attack affecting one in three Americans every year. With such a drastic increase in the number and complexity of cyber attacks, naturally, the cyber protection industry is having to keep up. The Department for Digital, Culture, Media and Sport (DCMS) in London is planning to set up a ?13.5m cyber security innovation center. With more insight, money and manpower geared towards the cyber security movement, more exciting advances and innovations are being made. Here are five trends that are taking the cyber security world by storm. Anti-malware vendors are claiming that up to tens of millions of malware programs are created every single month. With such a drastic increase, individual threat detections such as antivirus scanners are increasingly ineffective. The result is broader solutions that can target a whole class of malware attacks in one big go. Much more effective. AI and machine learning is a major contributor to the advancement of cyber security. Machine learning is being used to identify malicious behavior from hackers by modeling network behavior and improving overall threat detection. In other words, humans are using machines to “watch and learn” the results of previous events in order to predict and identify future cybersecurity threats. The Internet of Things has been and will continue to be, a major target area for attackers. The increase in the use of IoT devices and their basic security features make them an easy target for hackers. All hackers have to do is buy a botnet kit online from the deep dark web, and voila, they have access. 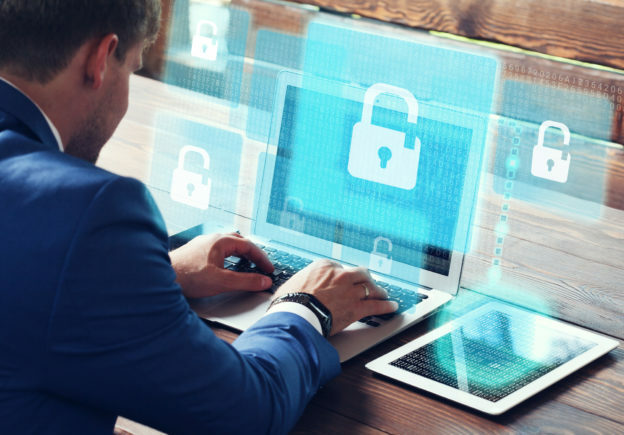 Naturally, a major aspect of the upcoming cyber protection industry will be increased security for the millions of Internet-connected devices. The battle against the dreaded botnets is looking bright, with corporations like Microsoft putting a strong focus on arresting those evil botnets. Say goodbye to having all your data protected by a mere 5-letter word with capitals and a number. Password-only authentication will slowly start dying out, replaced with password alternatives and enhancements. Multi-factor authentication and risk-based authentication tools are the future and are becoming more widely available. A few years ago, almost every program required local administrator or root privileges. That means that if your friend wanted to use the same program as you, you’d have to give them full administrative permissions. What a hassle, not to mention not great for your cyber security. Luckily programs are shying away from this outdated system. It’s unlikely for a program to be installed if it’s asking for full privileges on your computer system. Now users and admins can select who exactly they want to have full access to applications. It’s great to see that the cyber protection industry is updating to cater for the meaner uglier cyber attacks we are faced with today. But with the rate at which cyber threats are increasing in number and changing in nature, it can be hard to keep up with what the latest threat is. Nevermind how to prevent yourself and your business from being a target. Leave the worry to us. Contact us today to find the correct cyber protection for you.